Most species of crowberries have tiny flowers that are not colorful because the flowers are adapted for wind pollination. 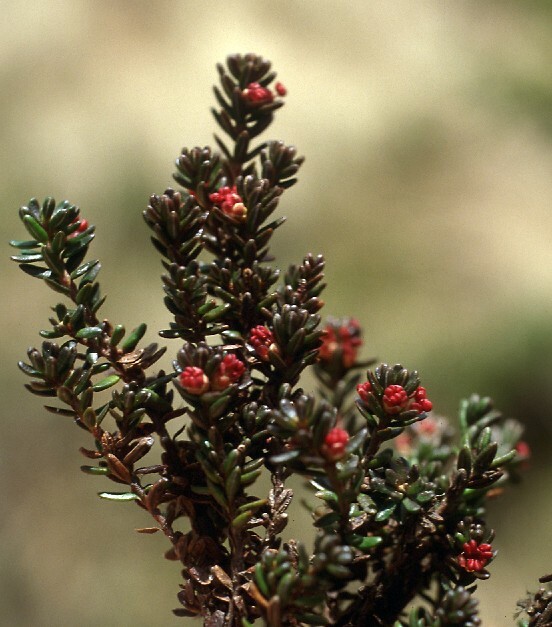 In the older literature crowberries were not considered part of the Ericaceae, but were placed in their own family Empetraceae. 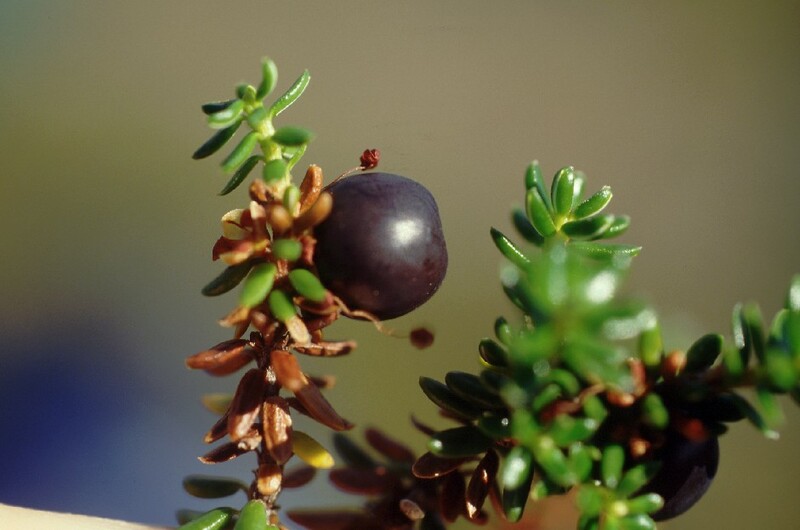 Recent research using DNA sequences and morphological characters has shown that the crowberries are part of the Ericaceae and that they are related to rhododendrons and heathers in subfamily Ericoideae.Crowberries have fruits that are fleshy and either black or very dark red. Birds eat the fruits and presumably have contributed to the spread of some species over large distances.The distribution of the red crowberrry, Empetrum rubrum, is one of the most interesting in the world. This species is found in the boreal regions of the northern hemisphere and in the southern end of South America, but nowhere in between. How did this species end up with such a bipolar distribution? Some scientists have suggested that birds distributed the seeds from one end of the globe to the other. Crowberry leaves are very small and needlelike. 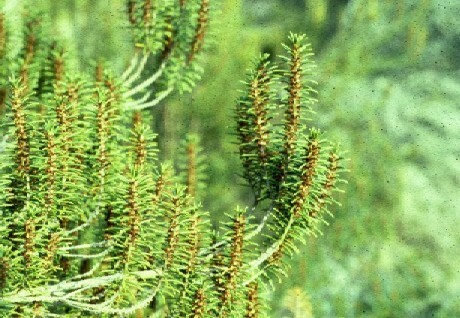 In fact, they were placed in a group of conifers at one time in the past! 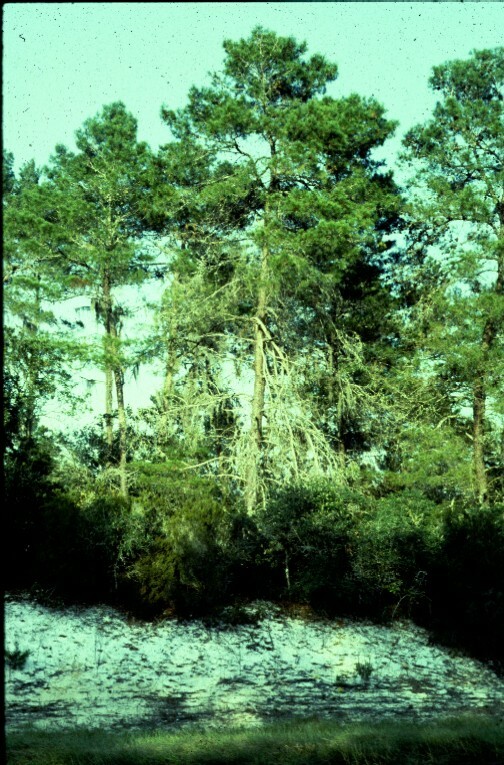 One species, the Florida Rosemary (Ceratiola ericoides) is endemic to the sandhills of northern Florida. The Florida rosemary gets its name from the aromatic oils present in the leaves. In the heat of the day these oils are volatilized and smell very similar to the familiar rosemary herb in the mint family.